Radiation therapy cancer treatment uses high-powered X-rays with the intention to kill cancer cells. But radiation is inherently damaging to DNA. Radiation therapy actually works by damaging the genes (DNA) in cells. Genes control how cells grow and divide. When radiation damages the genes of cancer cells, they can’t grow and divide any more. Over time, the cells die. This means radiation can be used to kill cancer cells and shrink tumors… or at least that was the theory. Radiologists know that DNA damage is one of the detrimental effects of ionizing radiation. When something like that smashes into your DNA (or most anything), it is definitely going to do some damage. Radiation therapy for cancer causes nerve damage (resulting in numbness and pain). Radiation to the head and neck area can damage the glands, causing throat and mouth sores. Radiation to the stomach or pelvis can damage the intestines. Radiation also limits reconstructive options for breast cancer, and can cause significant damage to the heart, lungs or any other organ nearby. It also causes second cancers. But radiologists believe that these side effects are insignificant as compared to the benefits of radiation as a cancer treatment. They are wrong, the theory itself was wrong. 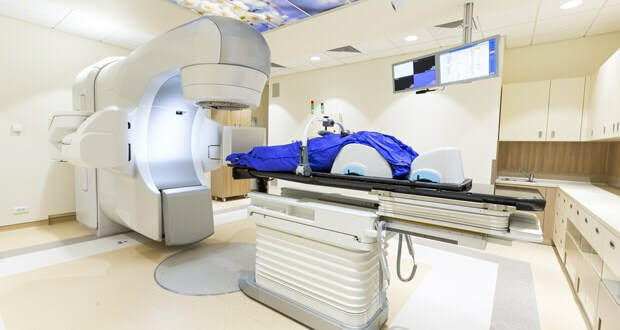 While in the past researchers believed that radiation could actually kill cancer cells, researchers are now discovering that radiation treatment creates more cancer! A recent study done at UCLA Jonsson Comprehensive Cancer Center found radiation actually induces (leads to) breast cancer cells to form more tumors. Plus, malignancy in radiation treated breast cells was likely to be 30 times more probable. Radiation actually promotes malignancy in cancer cells instead of killing them, and it allows cancers to grow back with even greater force. The researchers reported that radiation treatment transforms cancer cells into treatment-resistant breast cancer stem cells (CSCs), even as it kills some of the cancerous cells within a tumor. While radiation appears to target cancer cells and can regress tumors, this is only in the short-term, before the tumors regrow with a vengeance. Other research has indicated that cancer stem cells are involved with treatment failure. In fact, awareness of CSCs goes way back to around 1910, though the term wasn’t used then. As with chemotherapy, numerous researchers have found that radiation does not kill all of the cancerous cells within the tumor. The cancer stem cells are left behind. Plus, the radiation actually turns normal cells into cancer stem cells. Thus creating cells that are resistant to treatment and which can go on to produce more tumors. 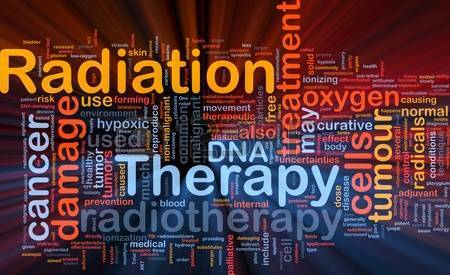 When is Radiation Therapy Cancer Treatment Beneficial? Radiation therapy can be useful for palliative care. For example, it is often used as a method to control pain or manage other quality of life symptoms. But the theory that radiation is curative has clearly been challenged. Beyond the obvious questions, such as does radiation therapy harm surrounding organs? (yes, it does), or will I suffer from fatigue? (likely so), and does it contribute to lymphedema? (it does), there are important questions you need to ask your radiation oncologist before you accept treatment. BEFORE you schedule any radiation therapy appointments to treat your cancer, here are some very important questions you need to ask your doctor. These questions are meant to empower you to take control of your health and have a clear understanding of the cancer treatment being offered. What is the goal of the radiation for my cancer? Is this a cure or a short term solution? What will your proposed treatment do to my cancer stem cells? How will you protect my heart, lungs, and/or other organs from the radiation? on to create more cancer? What is your opinion on taking antioxidants and other supplements during treatment? II who will develop a local recurrence? 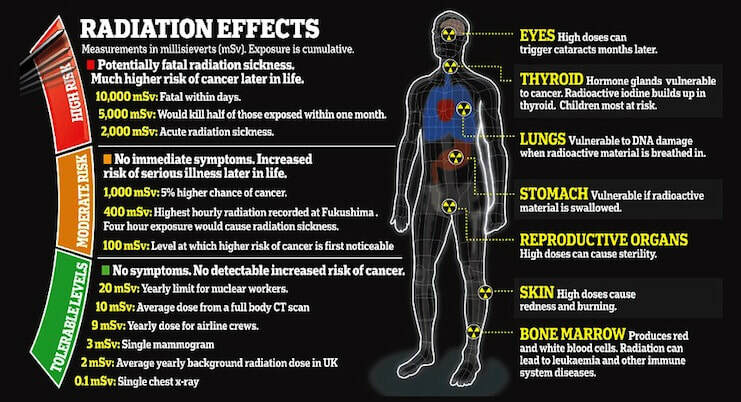 In light of the risk of the radiation creating more cancer, how will this radiation treatment benefit me? What lifestyle changes will I need to make to improve the outcome of the radiation treatment and protect my body during treatments? Would you give this same treatment to your wife or children, and if not, what would you recommend for them? Would you do it yourself? Many people are timid when it comes to questioning a doctor. Part of this is the unwillingness to put up with potential arrogance. However, more often it is because when we hear the words “you have cancer” we often begin to operate out of fear. We can become bullied into thinking we will die if we don’t follow the good doctor’s orders. It is next to impossible to make clear, educated decisions when you operate out of fear. Know that by law, physicians must inform patients of the significant risks and serious harm associated with proposed treatments as well as alternatives to their suggested treatment. It is much easier to heal yourself of cancer once you become an empowered patient. Find out what causes cancer, what caused YOUR cancer, and what stops it from growing. You may have heard the expression “there is no stupid question.” Never has there been a better time to ask questions. Your health and your life depends on it! BEFORE you schedule any radiation therapy appointments to treat your cancer, there are 10 questions you need to ask your doctor. These questions are meant to empower you to take control of your health and have a clear understanding of the cancer treatment being offered. How will radiation affect my risk of distant relapse? Will a planning CT (CAT scan) be required to determine the area to be treated? Will I require more than one of these scans which inherently subject me to even more radiation?